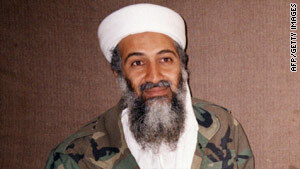 A thorough analysis confirmed that bin Laden did indeed die after Navy SEALs raided his compound, officials said. (CNN) -- The United States has formally dropped criminal charges against former al Qaeda leader Osama bin Laden, who was killed in a U.S. military raid in Pakistan last month. In federal court in Manhattan on Friday, prosecutors disposed of a 1998 indictment that charged bin Laden with murder and conspiracy to kill Americans for his role in attacking U.S. embassies in East Africa in 1998. The indictment also alleged that bin Laden tried to attack U.S. defense assets. The bombing of U.S. embassies in Nairobi, Kenya, and Dar es Salaam, Tanzania, killed 224 people. A raid by U.S. special operations forces killed bin Laden in Abbottabad, Pakistan, on May 2. Preet Bharara, U.S. Attorney for the Southern District of New York, asked for the change, a request that Judge Lewis Kaplan granted in a brief order. The action came after a thorough analysis confirmed that bin Laden did indeed die after Navy SEALs raided his compound, according to an affidavit from a top U.S. government official that was included in the filing. The officials noted that facial recognition and photograph analysis confirmed the identity, along with DNA testing of the body. "The possibility of a mistaken identification is approximately one in 11.8 quadrillion," the official said. Much of the details regarding proof of his death have been previously reported. The original indictment, filed in secret June 8, 1998, accused bin Laden of murder and conspiracy to kill Americans, among other charges, after the cab bombings that year at the embassies in Kenya and Tanzania. He was the only one originally charged, but other terror leaders were added to that indictment. Typically, court indictments are dismissed when the defendant dies or is convicted on other unrelated cases. Such requests to drop charges are procedural and routine. Pending federal criminal indictments remain against other top al Qaeda officials and their associates. Those include open charges against Ayman al-Zawahiri, who was reported this week to have succeeded bin Laden as leader of al Qaeda. Other pending criminal indictments will probably be amended in coming weeks or months to remove bin Laden's name, including his self-admitted role as mastermind of the terrorist attacks on Washington and New York on September 11, 2001. A number of other civil lawsuits have been filed by surviving victims and family members of the 9/11 attacks, seeking to hold bin Laden and his terror network financially responsible for causing the worst terror attacks ever on U.S. soil. The disposition of those cases remains unclear.